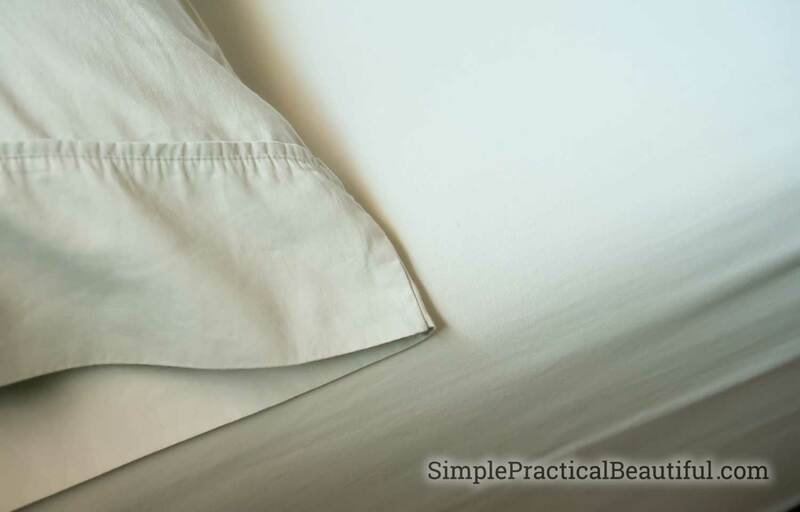 What makes high-quality sheets so soft and comfortable? 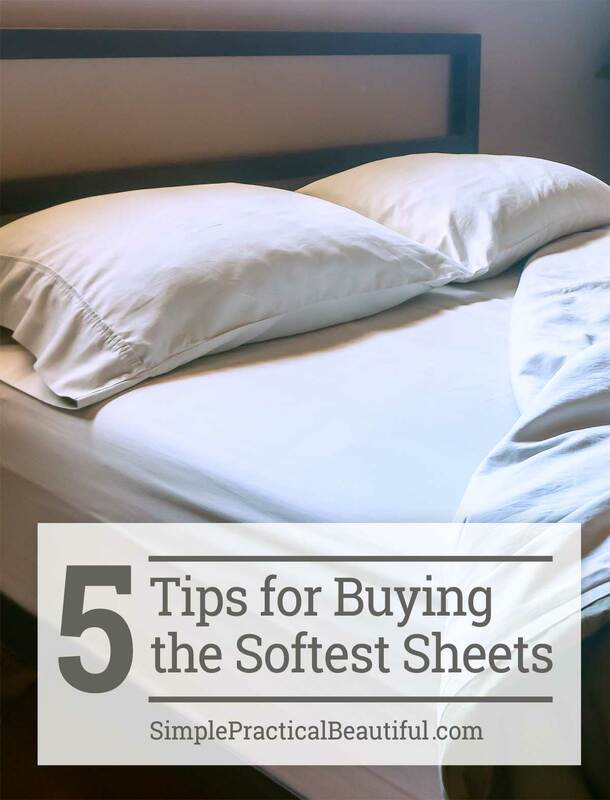 Here’s what you need to look for when buying new sheets for your bed. Only buy sheets that are 100% cotton. The more they are used and washed, the softer the cotton will feel. Fabrics made with a cotton polyester combination will pill. Those awful little round bits that seem to collect on your sheets and you can never get rid of them? That’s pilling. And even those gadgets that are supposed to remove the pills will never make your sheets soft and smooth. 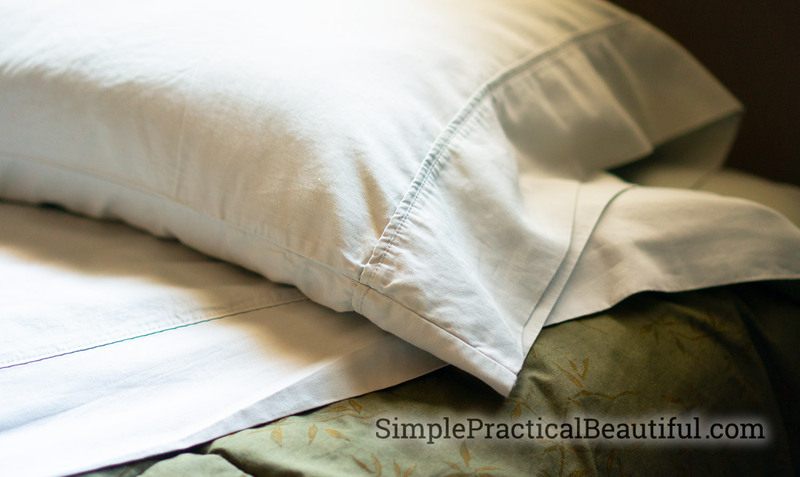 Microfiber sheets feel soft to start with, but they don’t breathe like cotton. That means you’ll end up feeling hot, sweaty and cold all at the same time. I can’t sleep like that. Plus, they don’t get softer with age. A higher thread count means the threads that are woven to make the fabric are smaller and so they blend together better and feel softer. They are also more tightly woven which makes the fabric stronger. Sheets with a low thread count will feel coarser and more flimsy. I’ve found that cheap sheets are great for kids beds because I don’t mind replacing them all the time when they get stained and worn and my kids don’t care how soft their sheets are. Although high thread count only matters to a point. I can’t feel any difference in the sheets with a thread count higher than 800. It’s not worth it to me to pay more for sheets that feel just the same. You already know if your bed is king, queen, full, or twin size. Ours is a queen-size bed. It also helps to know more details about your mattress. Is it extra long? 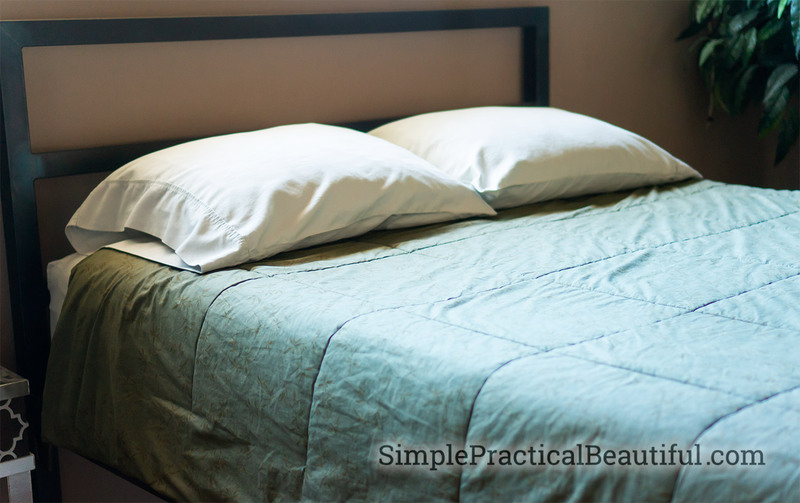 Is your mattress extra deep with a pillow top or other extra padding? 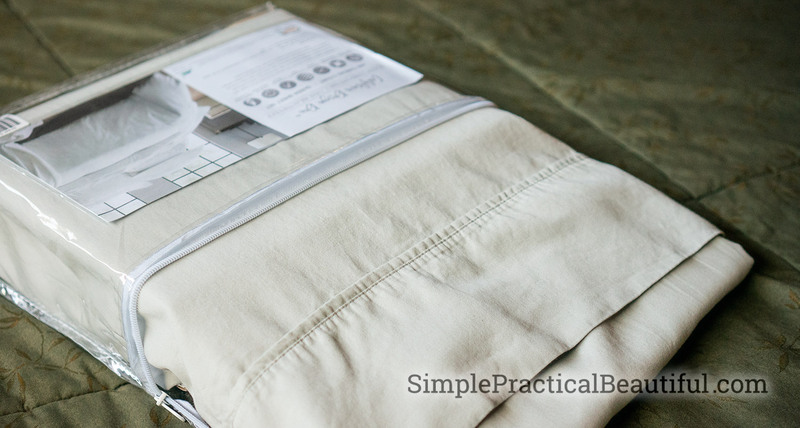 If so, you need sheets that are designed with extra fabric to fit over a larger mattress. My new sheets have extra deep pockets. The color of your sheets may be a personal preference, but it’s an important one. Your bed is probably a large part of your bedroom, so the color of your bedding will affect the whole room. If you are buying you sheets online because you can get a better price than in a store, like at Amazon.com, you should make sure they have a good return policy. No monitor will accurately show the real color, so you may need to return the sheets, unopened of course, if they turn out to be a color you hate. Fortunately, the color of my new sheets turned out better than I expected. They are light grey and it’s almost a warm grey color that looks good with almost any other color, warm or cool. They’re beautiful. I wish I could show you, but again, you can only see them on your monitor. I am not a cotton expert, but I’ve learned that Egyptian cotton has a longer fiber than other kinds of cotton, so the fiber feels more smooth than other kinds of cotton. 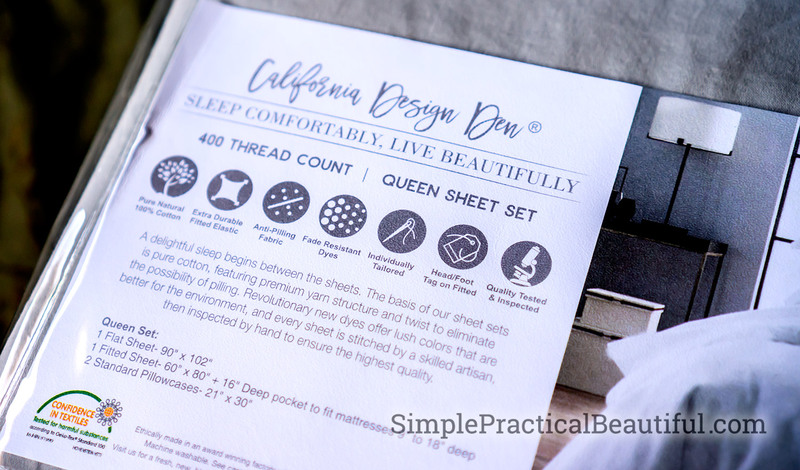 It may seem odd that one type of cotton would be any different from another, but every time I have purchased sheets labeled “Egyptian cotton” I have been very happy with how soft they feel. 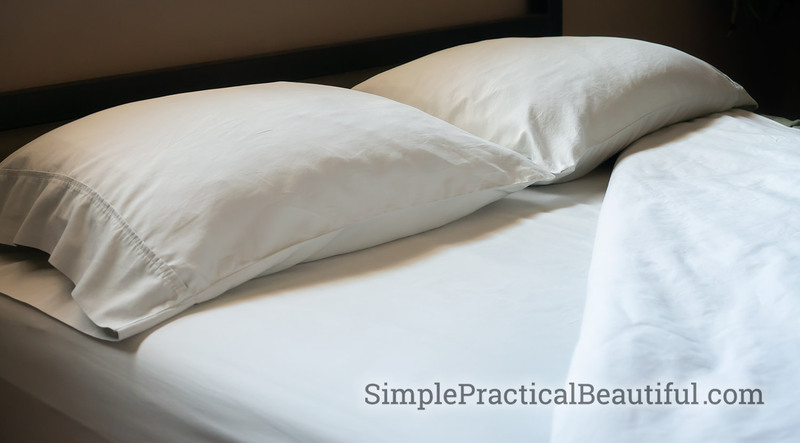 Egyptian cotton is usually a little more expensive, but it is worth the cost. Unfortunately, my new sheets are not Egyptian cotton, so they are not the softest sheets I own. But they meet all of my other qualifications, which makes them comfortable enough. One last tip: After you buy your cotton sheets, wash them with fabric softener. I normally don’t like fabric softener, but it’s great at breaking down the fibers a little. Then, instead of crisp, stiff new sheets, your new sheets will feel like you’ve been using them for a few months. Nice and soft. Sleep well! These are great tips! I love comfy bed sheets so much!! !